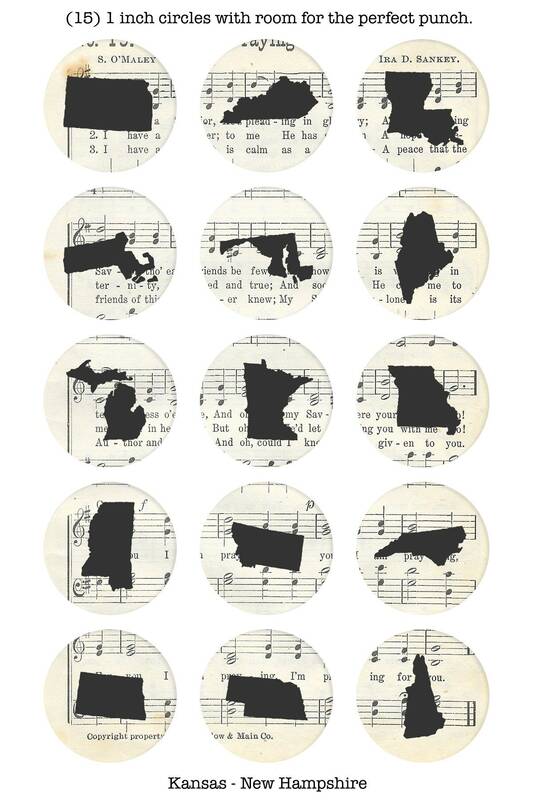 Show your state love with these hand-pressed snaps! 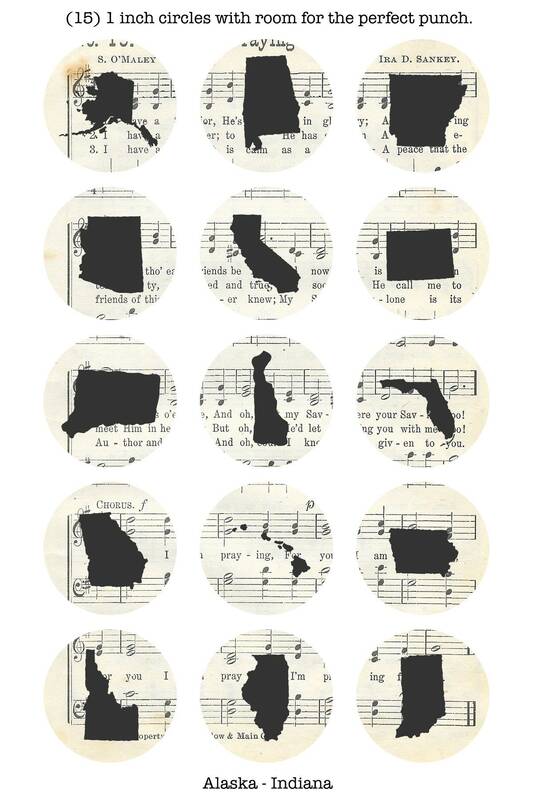 Our handpressed snaps are unique to our shop! We carefully select images, print, cut and handpress fun snaps! 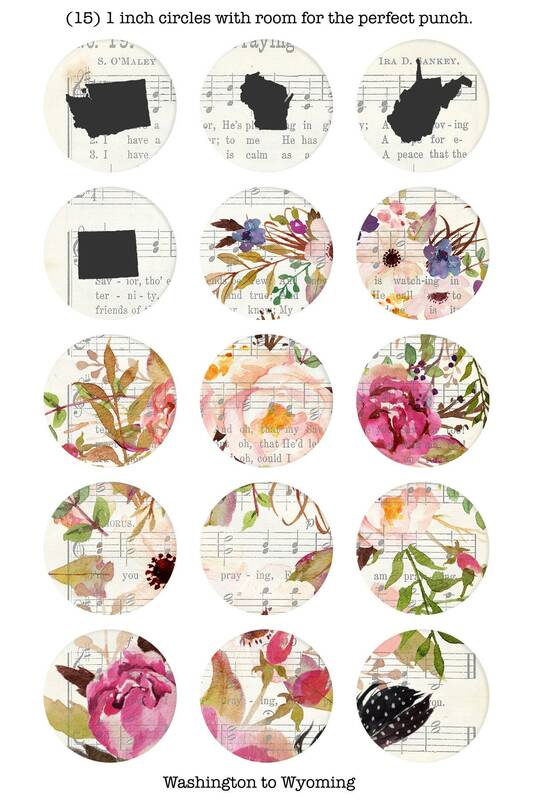 All of our handpressed snaps are compatible with GingerSnaps and Magnolia and Vine 18mm Snap bases. 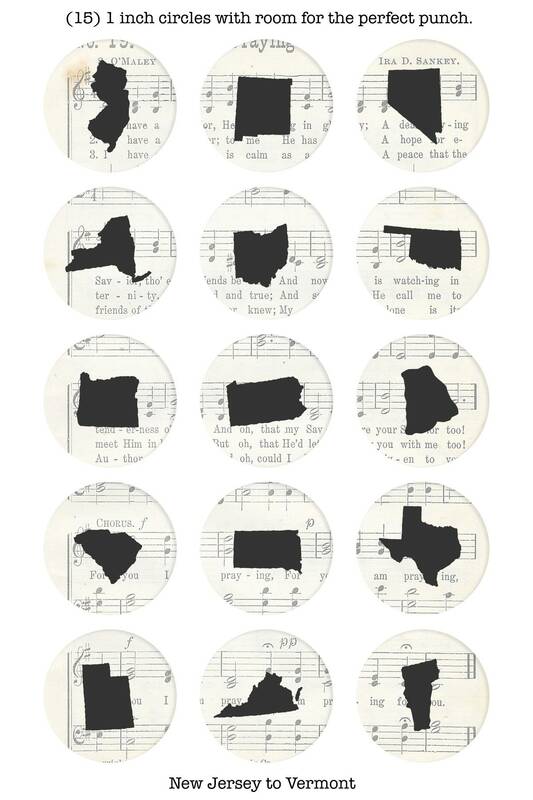 Upon check-out be sure to make a note of your state in "message to seller."